Sales, to speak bluntly, is not the most glamorous career; majority of the day is spent on the phone or focusing on data management. Sales gamification removes the tedious nature of mundane activities by implementing game-like characteristics into daily tasks. Sales gamification is one of those terms we’re sure you’ve heard somewhere during the process of figuring out how to increase productivity in the office, but you’re not quite sure what it means, how it’s used, or why it matters. 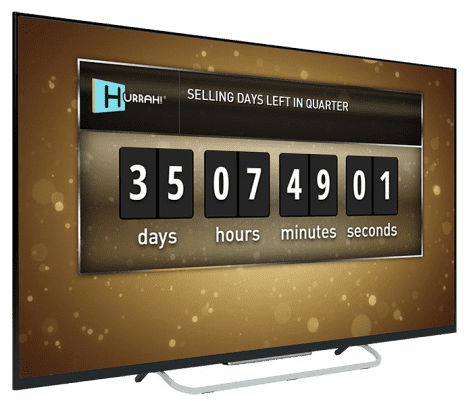 Building off of this foundation, we’re going to go over some key features, how to use sales gamification effectively, and why it’s important to implement if you’re still undecided. There’s no simple way to break down gamification because the number of options businesses can choose to implement can be overwhelming. It’s easy to get caught up in in the features lists that providers offer, so we’re focusing primarily on the most prominent features. What you’re trying to do is transform the boring tasks everyone wants to avoid by turning them into achievements and rewarding the office in a variety of ways. This is where weekly competitions, prizes, and different incentives come into play. Let’s break it down even further. Point Systems: Points can be assigned to specific tasks you want your sales team to accomplish either short or long-term. You can take advantage of this by assigning less desireable, more difficult tasks with high points to encourage faster completion. Points can then be tallied up at the end of a specific period of time to offer different rewards, like remote work days or special lunches. 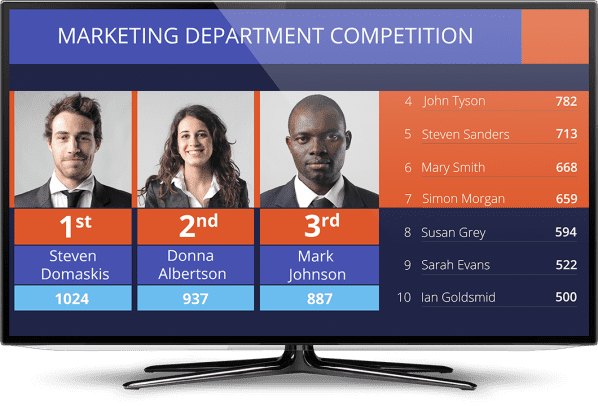 Leaderboards: Providing your sales team with a leaderboard will allow them to see how everyone in the office is doing, and add a bit of a competitive edge to the whole process to motivate agents. If you’re interested in providing a point system, a leaderboard is necessary to track each other’s progress, especially if something is on the line. We’ll talk more on that later. Achievements: After completing a certain number of tasks or missions, achievements can be unlocked that recognize the user’s good work. This will keep your sales team motivated and increase their desire for more. 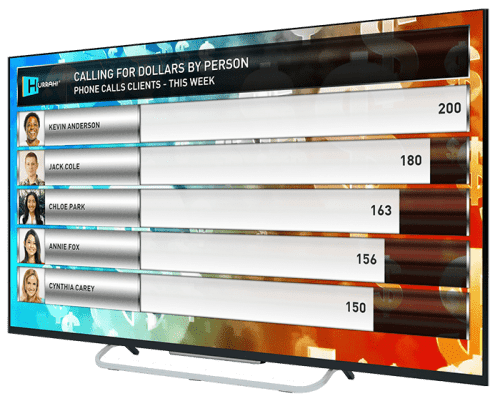 Some examples of these achievements could be: Completed 50 customer data entry forms; Called 20 leads this week; Remain first in the leaderboards for 5 weeks in a row. There should be short and long term achievements, but they should also be possible. Don’t make them so hard to the point where your sales team stops trying. 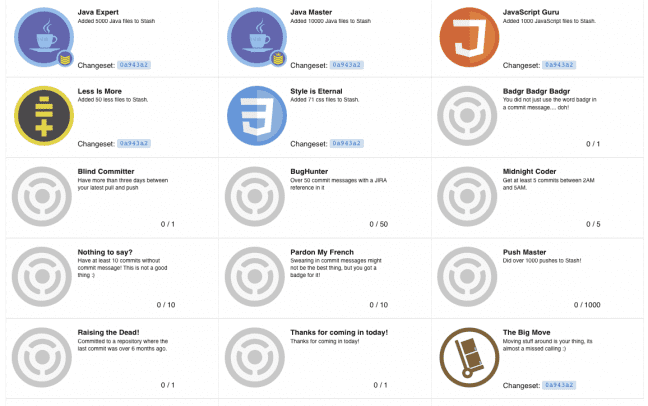 Badges: Badges are a visual representation of the achievements your sales team has accomplished. They let your sales team show off what they’ve done and feel a sense of pride. Badges can be shown on leaderboards to further help agents strive to be the best. Contests: Contests can be held on a weekly or monthly basis, which can further increase the desire to be more productive without explicitly encouraging it. They should be open and fun to everyone in the office, and offer a reward worth while for the winners. Progress Bar: Think LinkedIn, or like an experience bar in a video game to level up your character. When you create a profile, there’s a progress bar that shows you how complete your profile is. The same can be done with gamification, regarding missions complete, achievements and badges earned, and contests won or lost. Progress bars can be a more personalized visual aid to help agents understand where and how to improve, or how far off they are from their next achievement. All these features are great, but why are they so important? You’re probably thinking that there’s a number of ways to get your sales team motivated that doesn’t turn work into a video game, but gamification is becoming more and more popular for a reason. Let’s look at some statistics before we go deeper. Service Corporation International saw that the sales reps who used gamified CRM on average closed 88% more deals at a double contract value than those who didn’t. The first month Wireless Zone ran CRM gamification, their total sales increased by 176% and their profit rose by 9%. Hewlett-Packard reported that gamification in sales helped them raise total revenue by 31-44% (depending on the region) and by 48-94% in two consecutive months. Regardless of the size of your business, these numbers are significant. These are huge jumps in revenue and deals closed. It goes to show that when done right, gamification is absolutely worthy of your consideration. Let’s look closer and the biggest benefits that gamification can bring to your business. The goal for any sales manager is to create an environment where everyone can work together and get along with one another effectively. Collaboration is better than compromising because no one needs to sacrifice anything for the benefit of the company. Sales teams can’t function unless everyone works together. Gamification helps encourage collaboration be incentivizing teams to complete missions, and work together to achieve common goals. You’ll start to notice your sales team working as if there’s something to lose when you implement gamification. Agents are more willing to work together to accomplish missions when they know they can be rewarded and recognized for their efforts. Gamification can also turn otherwise boring and mundane tasks into fun challenges, completely changing the culture of your office, which can have a huge morale boost to agents, leading to improved productivity. I think it goes without saying that when sales teams are happy working with each other, they’re more willing to communicate with each other, whatever the situation. Gamification can help build better relationships at work. Effective communication keeps people up-to-date on important topics that can make all the difference when it comes to generating revenue. With common goals in mind, teams will be more willing to communicate and collaborate. Along with improved communication comes new, productive habits. When there’s a mission to be accomplished, and everyone else is working together, the office is going to prioritize productivity without needing to be told or realizing it — to them it just feels like a game! Is there anyone on your sales team that is skeptical about using CRM software? It can be a daunting task to ask your team to learn the in’s and out’s of CRM software, but using gamification can help encourage CRM adoption. Again, gamification helps transform the routine and mundane tasks into fun challenges and achievements, easing the transition into using CRM. Determine whether or not gamification is right for your business — some may find the idea unnecessary or silly. You might be on board with gamification, and you might think that it’s just what your sales team needs, but if no one’s on board with the idea, it won’t work. Groupthink plays an important role in gamification’s overall success. Recognize your sales team’s achievements. If you create missions without an incentive, gamification is pointless. At the end of a video game, players are, at the very least, greeted with a congratulations. Take advantage of badge features that come with gamification software, or even try to work in real world rewards like Friday pizza parties if the office reaches a certain goal, or more personal rewards for those that score high on the leaderboards. Make note of how your sales team accomplishes each mission/task. Are they ignoring important tasks for the sake of acquiring points? That would be a serious issue. 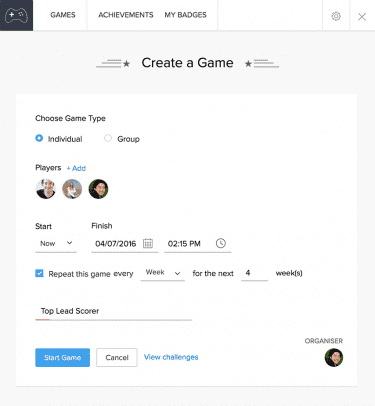 Stay on top of your sales team to ensure they’re using gamification properly. Use gamification rules to shape your team to fit your business’ best interests. Gamification will help your sales team become more productive, but the point of increasing productivity is to benefit your business by generating sales and creating a better work atmosphere. Keep it simple. If you’re, for example, trying to get your sales team to adopt CRM software, and they’re already having a hard time, don’t make gamification another thing they need to wrap their heads around. If you have trouble explaining to your sales team what your goals are, reevaluate your goals. Gamification is an essential sales CRM integration for sales managers, provided the entire sales team is on board with the idea. Gamification is growing in popularity among businesses for good reasons. It helps teams unify and communicate effectively, and establishes a reward system for agents to feel like their actions — even the boring routine tasks — matter, often leading to more sales. There are tons of features that make gamification approachable for businesses of all shapes and sizes. These features are purposefully representative of what makes video games so popular, and it has everything to do with psychology. When we are rewarded for something, even just by a quick “congratulations!” or a progress bar moving forward, we feel an incentive to keep progressing. Gamification will not work unless you’re recognizing your sales team’s efforts. You still have to be a leader. Make sure gamification is being used correctly and in your business’ best interests and you should see significant improvements in leads acquired and revenue generated. Image credit to Trakdesk, WaveAccess, Badgr, Zoho, Agile CRM, and Growth Engineering respectively.